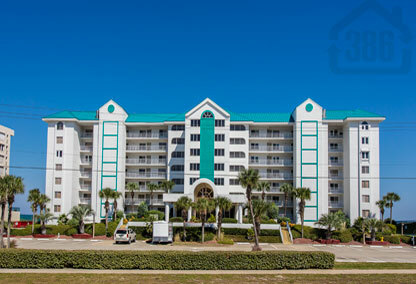 Oceanquest in Ponce Inlet offers the private and pristine oceanfront lifestyle you’ve been looking for. This smaller building features just 53 units allowing you more room to relax and enjoy the many building amenities more privately. One of the best parts about calling Oceanquest home, however, is the fact that not only do you have white-sanded beach for your backyard, but this is also a traffic-free section where you can relax the day away, without the large crowds. Oceanquest is also convenient to many fishing, boating, dining and shopping opportunities with the famous Ponce Inlet Lighthouse just down the road as well. You don’t have to search far for a great beachfront lifestyle; call us today to discover Oceanquest condos in Ponce Inlet.